With nearly a million followers on YouTube, Zall is reaching her fans through comedy and performance in the most relevant way possible. Also active on Twitter and many other social media platforms, Zall is one of the most reachable social media stars out there. Although she might be younger than some of the other social media stars who were present at Playlist Live, like Meghan McCarthy and The Nive Nulls, Zall's influence is not a force to be reckoned with. "I think one of my favorite things about YouTube," she explains, "is the power to influence one specific individual." Clearly, although Zall's fame goes far and wide across social media platforms and fans, there is an individual focus at heart. She cares about each and every one of her fans, which is partly why she participated in the annual convention that celebrates and brings together social media stars with their fans, Playlist Live. Zall's down-to-earth nature resonates not only in her numerous viral videos, but also in her real-life demeanor. 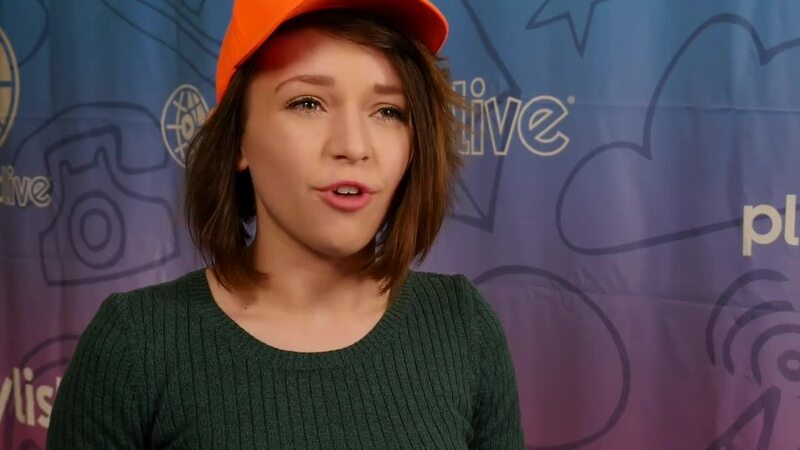 Speaking of which, Alexis G. Zall gave #KanvasLive the exclusive opportunity to chat with her about all things social media, how she got her start, and more! Check out the video above for all the dirty details. Missed Playlist Live? Download Kanvas now to stay in the loop with more exclusive content! Can she stop making us LOL for, like, a second?